For more inquiries, please call: 718-513-3600 330 Neptune Ave.
Our program is based on five fundamental principles. These principles serve as the basis for our educational framework that guides the creation of rich and purposeful skills-appropriate activities and learning experiences. Positive interactions and relationships with adults provide a critical foundation for successful learning. Social-emotional competence is a significant factor in school success. Constructive, purposeful play support essential learning. The physical environment affects the type and quality of learning interactions. Teacher-family partnerships promote development and learning. 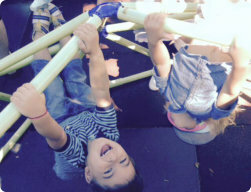 Learn And Explore Preschool offers a full-day, high-quality learning program. Our standard full-day is scheduled from 8:00AM – 6:00PM. A description of each class is below. Each day is a new adventure for this age group. Curiosity and energy levels are at an all time high and so is the potential for learning by association. Throughout the year these children are introduced to a variety of language, math, and science concepts. In addition to academic concepts, assisting our Early Preschoolers in understanding and using good social skills is heavily emphasized. Upon entering this class, children have matured, obtained more self-help skills and are making the shift towards complete autonomy. Teachers continue to encourage fine motor skill activities that are necessary for reading and writing. Children begin to practice writing their name, the alphabet and numbers. The final years of preschool are designed to prepare the child to enter elementary school with confidence and a desire to learn. Cognitive as well as social and emotional skills continue to develop as we encourage independence and adaptability to new environments and experiences. Children will see how the number, letter, shape, and color concepts taught in their classroom translate into their everyday lives. In addition, children will continue to develop literacy and phonics skills as we expose them to the tools necessary for reading and writing. A preschool with a single vision - providing a personal journey of knowledge and experiences for every young learner. Early Preschool Throughout the year, children are introduced to a variety of language, math, and science concepts. Preschool Children will begin to practice writing their name, the alphabet and numbers. Pre-KindergartenThe final years of preschool are designed to prepare the child to enter elementary school.